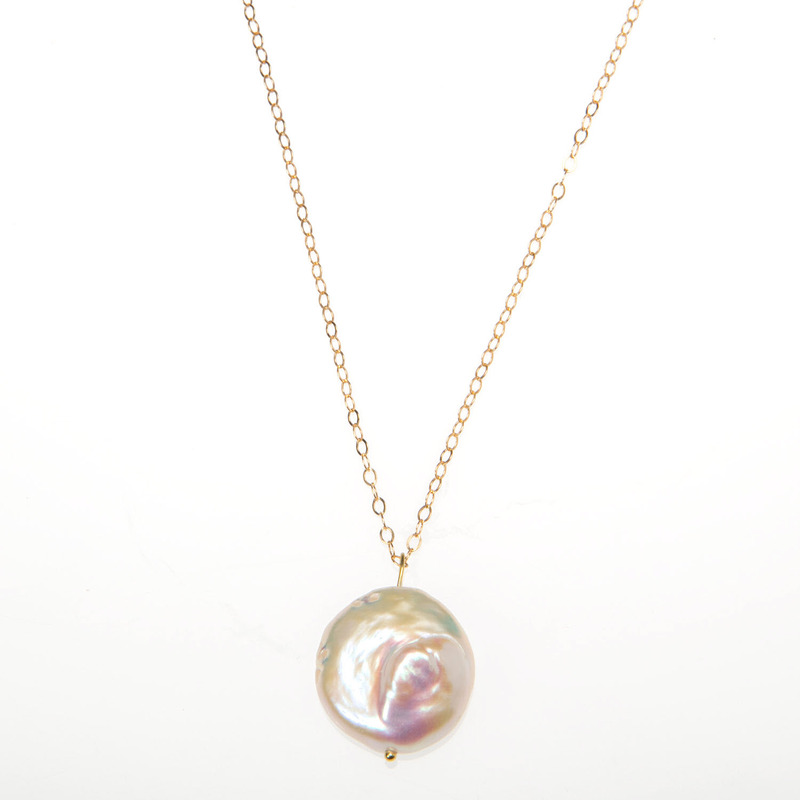 White or Lilac Pink freshwater coin pearl pendant hung from an 18 inch Gold Vermeil chain. The coin pearl measures 15mm. Choose from white or Lilac Pink pearl colours.